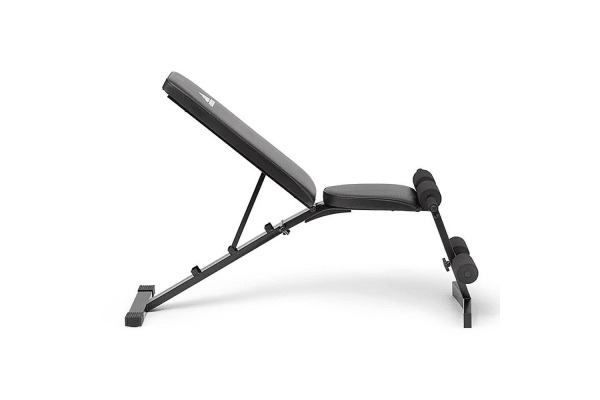 With incline adjustment to three key positions (incline, decline and flat) you’re able to work the upper body from various angles and target areas you may otherwise miss with your average workout.The bench comes with an upholstered foam back pad for comfort and support as well as position adjustable foam ankle pads for improved stability. The bench is sturdy, durable and un-intrusive, allowing you to workout at home without needing the space for large and cumbersome equipment. 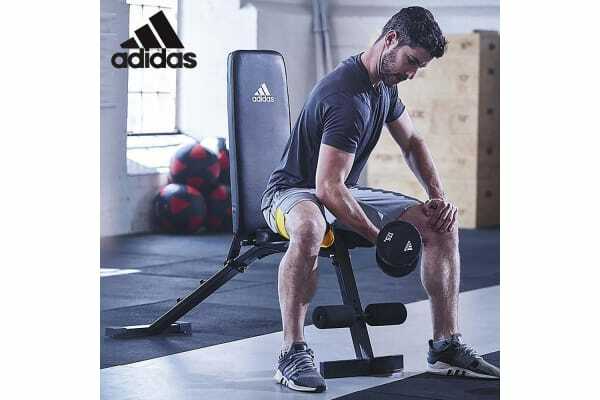 The adidas essential utility bench provides all the tools for you to train hard and push your limits. Upholstered foam back pad offers comfort and support. Position adjustable foam ankle pads for improved stability. Incline, decline and flat back pad adjustment. Non-marking rubber feet reduce movement.